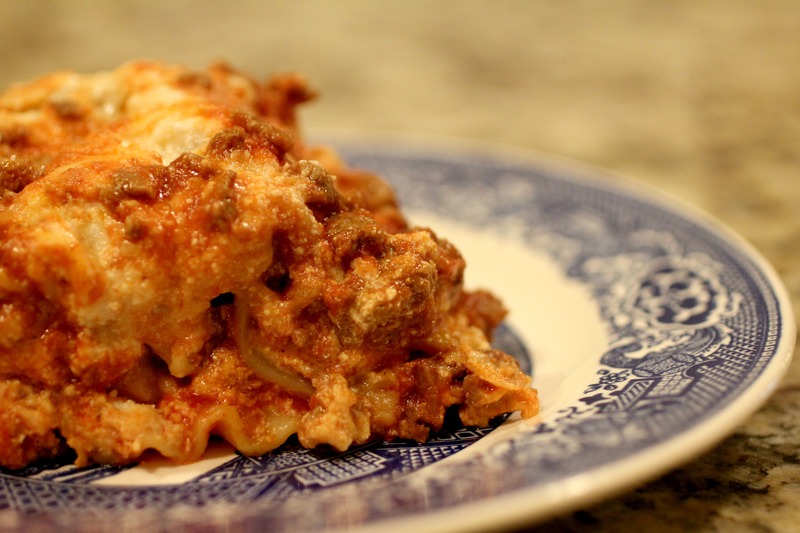 I know what you’re thinking…”crock pot lasagna? How in the world do you cook lasagna in a crock pot? And would that even be any good?” I know that’s what you’re thinking because that’s exactly what I was thinking. I made this dish with a high level of skepticism about the final product. However, I was very pleasantly surprised! My husband and I both loved this dish. 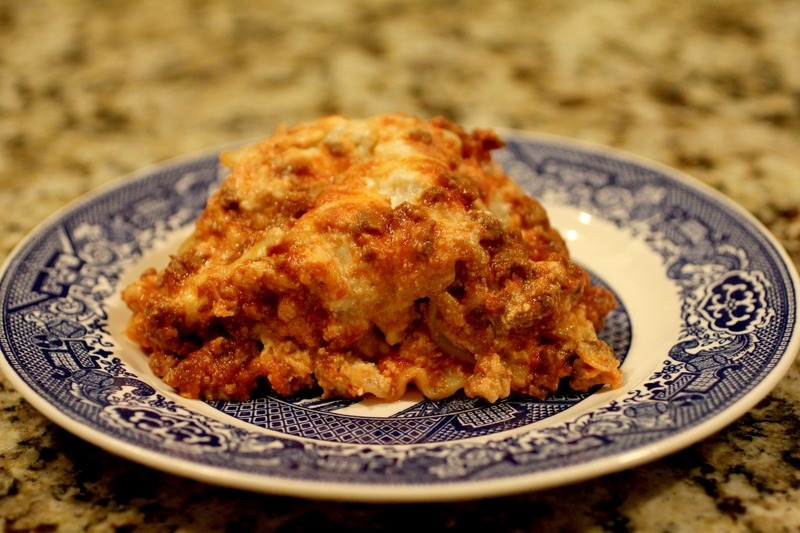 The flavor and texture is slightly different from traditional lasagna, but it was still delicious! Plus, you can’t ask for an easier cooking method! “Traditional” lasagna requires quite an effort to cook, and it’s certainly not your average weeknight meal. This crock pot version, however, is super easy and convenient! Just brown the beef, layer the rest of the ingredients, and set it on low for a few hours! I always make crock pot meals on the weekends because if I leave it cooking all day when I’m at work, it’s just sitting for too long getting dry. Spray the inside of the crock-pot with cooking spray. Combine the cheeses in a bowl. Spoon 1/3 of the cheeses over the noodles. Repeat these layers twice and then top with remaining sauce. -Replace cottage cheese with Ricotta. Shoe dang that looks good. nicely done! Awesome But you mentioned the texture is slightly different Can you elaborate? Hmmm it’s hard to explain It definitely wasn’t a bad texture at all! I guess it just wasn’t as saucy as traditional lasagna I think it’s because I used ricotta cheese in place of cottage. Instead of being super melty and gooey. The cheese had the texture of ricotta. Still loved it though! I think it looks fantastic and makes things so easy for a weeknight I’ve never tried something like this, but I will now Thank you for sharing your recipe (with variations)! Thanks Allison! It’s definitely something I’d never heard of either, but I’m glad I tried it! Thanks Judy! I didn’t really know what to expect, but I’m glad it turned out well! Glad you enjoyed it! Thanks for linking back to my blog. Just made this. Can’t wait to taste it tonight! Thanks Lindsay! I made this on Sunday and loved it. I used low-fat ricotta instead of cottage cheese, and it turned out really good. It was a lot of food for just two people, but reheated nicely for leftovers. Another hit in my book!